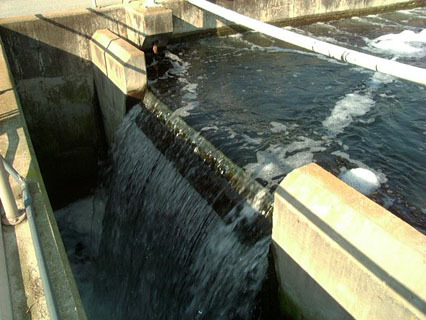 Is wastewater our greatest underutilized resource? We’ve recently seen a startup that turns sludge into high-quality fertilizer as well as a university that produces steam, water, acetic acid, and fertilizer from wastewater. Arizona State University’ Biodesign Institute is continuing the trend with a process that uses wastewater as a feedstock to generate hydrogen for fuel cells. fuels, now used for most hydrogen manufacture. The Biodesign Institute doesn’t have any plans to commercialize its process yet, but it isn’t the only organization working to advance microbial fuel cell research. The U.S. Navy, for example, recently introduced a microbial fuel cell that harnesses enough energy to power sensors. Next up: developing a microbial fuel cell that can power a robotic watercraft with a little help from ocean detritus.